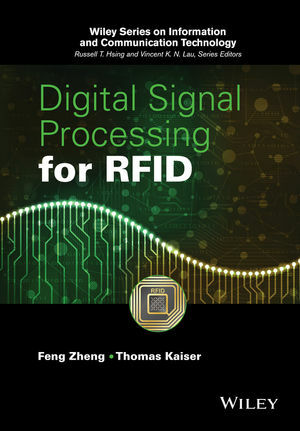 This book discusses the fundamentals of RFID and the state-of-the-art research results in signal processing for RFID, including MIMO, blind source separation, anti-collision, localization, covert RFID and chipless RFID. Aimed at graduate students as well as academic and professional researchers/engineers in RFID technology, it enables readers to become conversant with the latest theory and applications of signal processing for RFID. Feng Zheng received his Ph.D. degree from Beijing University of Aeronautics and Astronautics in 1993. He held an Alexander-von-Humboldt Research Fellowship at University of Duisburg and was an Associate Professor in Chinese Academy of Sciences. Thomas Kaiser received the Ph.D. degree in 1995 with distinction and the German habilitation degree in 2000, both from Gerhard-Mercator-University, Duisburg, and in electrical engineering.